Holy Cross Press are pleased to announce the publication of the most recent book from His Beatitude Archbishop Anastasios of Albania. In Africa: Orthodox Christian Witness and Service draws on his deep and long service to the African continent. 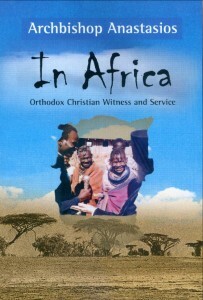 The book traces Archbishop Anastasios’ service in Africa, as well as some of his studies about African religiosity that show with what respect and knowledge he has tried to approach the African soul, offering her the treasure of Orthodox truth, crucified love, and resurrected hope of Christ. Archibishop Anastasios (Yannoulatos), Professor Emeritus of the National and Kapodistrian University of Athens and Honorary member of the Academy of Athens, traversed the savannas and the jungles of Africa with the apostolic fire that has characterized his whole life, combining the gifts of a renowned theologian and scholar of the science of religions, a creative leader, and above all a man of love and self-sacrifice; his passage “bore much fruit” that continues to multiply even after his physical absence from the “beloved” Africans. One of our LOI participants from Ethiopia, Tekle Belachew, has drawn to our attention to the very interesting work of the Center for Early African Christianity. This Center is seeking to recover the important missional history of the African Church, a Church which provided some of the key theologians of the first centuries of the Christian history and mobilised mission movements which brought the faith to Europe and beyond. The work of the Center is described in this video. Although it was originally published over a year ago we draw your attention to a very interesting and challenging article by John P. Burgess, the James Henry Snowden Professor of Systematic Theology at Pittsburgh Theological Seminary, USA. Originally published by First Things in May 2014 Burgess’ article raises very challenging questions about the mission of the Gospel and the State. Burgess’ article provides many clear insights into the challenges and opportunities facing the contemporary Russian Orthodox Church but in addressing this particular context he raises equally important questions for the Christian community in his native USA (especially in election year) and indeed in any Christian community that needs to consider its relationship with, and mission to, the State. In essence Burgess sees the Russian Orthodox Church as facing inexorably entwined temptations and opportunities. The opportunity is that of a nation, a State, and a President, who seem ready to provide a place of honour and privilege for the Church and therefore a ready platform for the Gospel of Jesus Christ. The temptation and the trap is for the Church to mistake an opportunity for mission for an opportunity for power and position and in so doing to find itself co-opted as the lapdog of the State. Burgess is no prophet, he cannot tell us whether the Russian Orthodox Church is about to lead that great nation of Russia into a revival of faith, culture and destiny or whether it is about to sell out on the Gospel of Jesus Christ for the sake of secular power. In the mirror of his writing we see the American Church facing exactly the same questions. Is the Church bringing the nation to faith or is the nation bringing the Church to a secularised watered-down gospel? And what of the UK, and so many other nations where churches long for a revival of Christendom and mission seems a much more difficult and lonely (yet perhaps more appropriate) road? You can download a text only version of John Burgess’ paper here or read it on line here. The Conference of European Churches (CEC/KEK) have just announced that Fr. 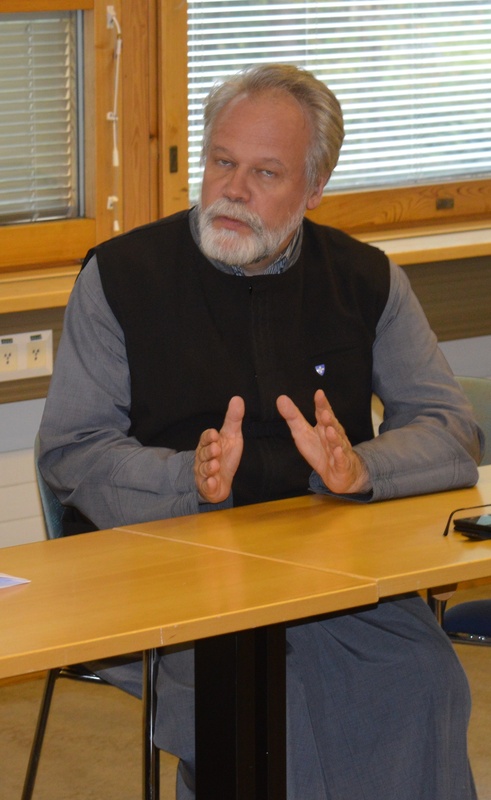 Heikki Huttunen, a member of the Finnish Orthodox Church and currently General Secretary of the Ecumenical Council of Finland, will be their next General Secretary. Fr. Heikki was an important participant in the recent LOI Consultation in Helsinki, as well as being one of our hosts. He has a long history of engaging in ecumenical work. We wish Fr. Heikki every blessing as he takes up this important new post. You can read a full press release from CEC here.